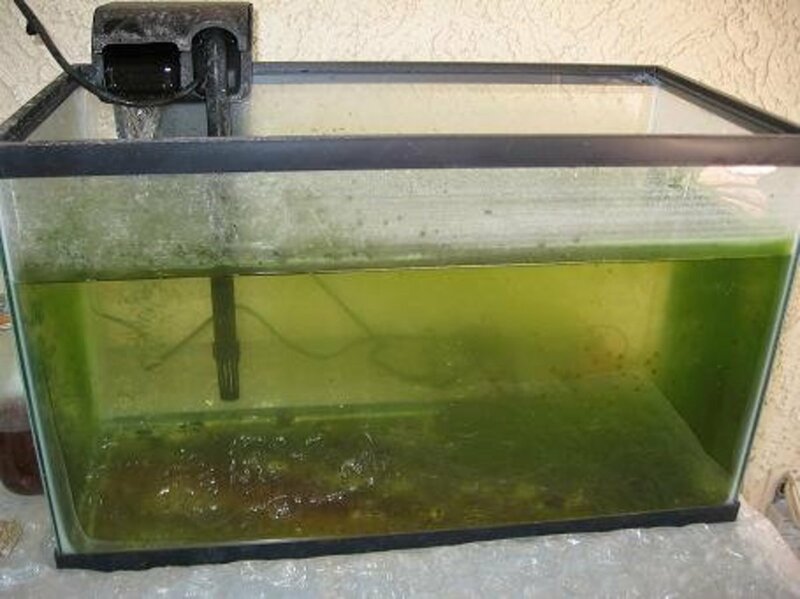 Aquariums have developed the reputation of being murky algae-covered death traps for fish. Unfortunately for many, busy lives do take over and the novelty of the new pet will fade over time and aquarium maintenance becomes a neglected household burden. 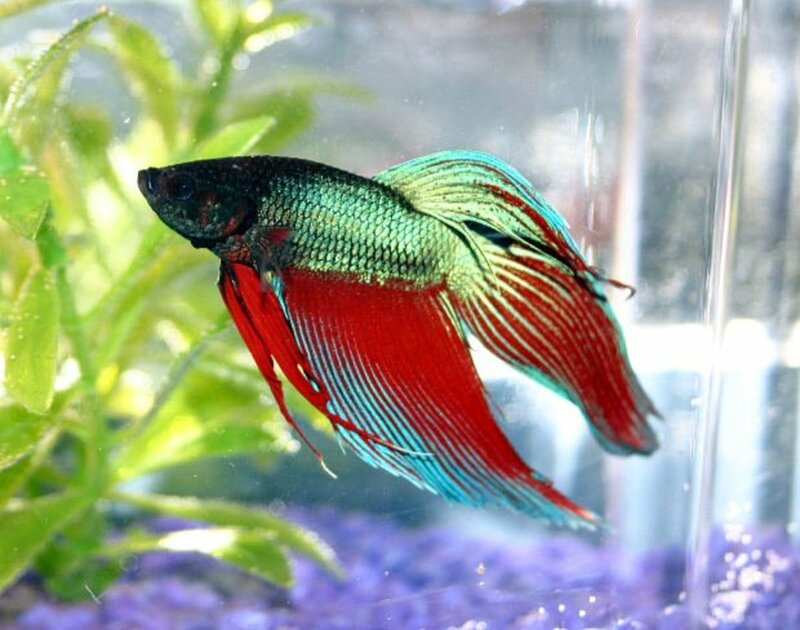 This guide is designed for those who are running a tight daily schedule and have little interest in the detailed inner workings of aquarium chemistry and aquatic ecosystems. It is not a plan for no maintenance, but a plan for low maintenance. The lowest amount of maintenance you can get away with and still have a clean aquarium with healthy, happy fish. Do not overstock your tank. The 'one inch of fish per gallon' rule is okay, but if you're looking for low maintenance, keep fewer fish. Fewer fish equals less waste, which naturally reduces the need for cleaning. Avoid overfeeding. Not only does overfeeding produce more waste for your fish, leftover food will foul up the water, making it toxic and nasty for your underwater friends. Overfeeding can also make your fish sick, and funeral costs for fish are astronomical these days. Avoid goldfish! Goldfish are the piggies of the aquarium world. They have a very high metabolism, producing a lot of waste, and they naturally grow to be huge. Goldfish should ideally have ten gallons each. There are a lot more interesting, lower maintenance fish that could be using those ten gallons. If you really want to keep goldfish just be aware of what you're actually getting, and please give them the proper habitat. Don't get a small tank. Larger tanks are actually a lot easier to maintain than small ones. The higher volume of water means the water chemistry and temperature will stay more stable, and will function more easily as a mini ecosystem with the ability to self-clean, to a certain extent. Larger tanks are actually easier to maintain. Place the aquarium away from direct sunlight to reduce algae growth. Add an algae eater. Siamese algae eaters, plecos, and certain types of catfish will eat algae but be careful what you choose as some are picky about the types of algae they eat. Always do a bit of research or ask the staff in a reputable aquarium shop before purchasing your fish. Beware that some types of plecos grow very large and will eventually need a bigger tank (or to be traded down at the store). 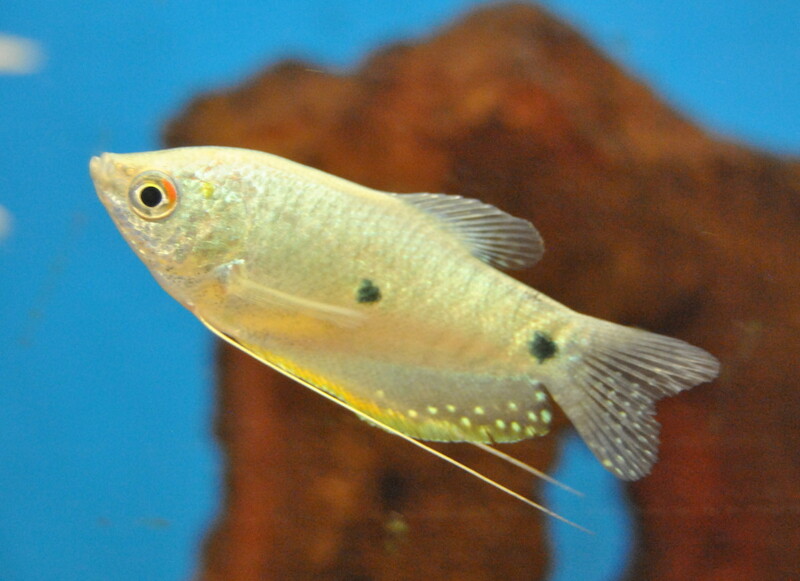 Keep in mind, too, that the algae eater also produces waste and needs to be considered when you decide how many fish to stock your tank with. Over-filter and under-stock your aquarium. As mentioned before, fewer fish means less waste. Research the fish you are interested in and find the absolute maximum adult size of each fish, and go by that for the inch-per-gallon rule. Then when you add it all up, leave a few extra gallons for good measure. Then shop for your filter. Look at the filter flow rate when shopping, typically you want a filter that cycles all the water in your tank at least four times per hour, but for low maintenance choose a filter that's designed for a tank much bigger than yours. For example, I have a 46 gallon tank running with a filter rated for 45-70 gallons. The filter has a flow rate of 340 gallons per hour, which means it filters all the water in that tank about seven times every hour. Get a big tank. This was mentioned already but is worth restating. 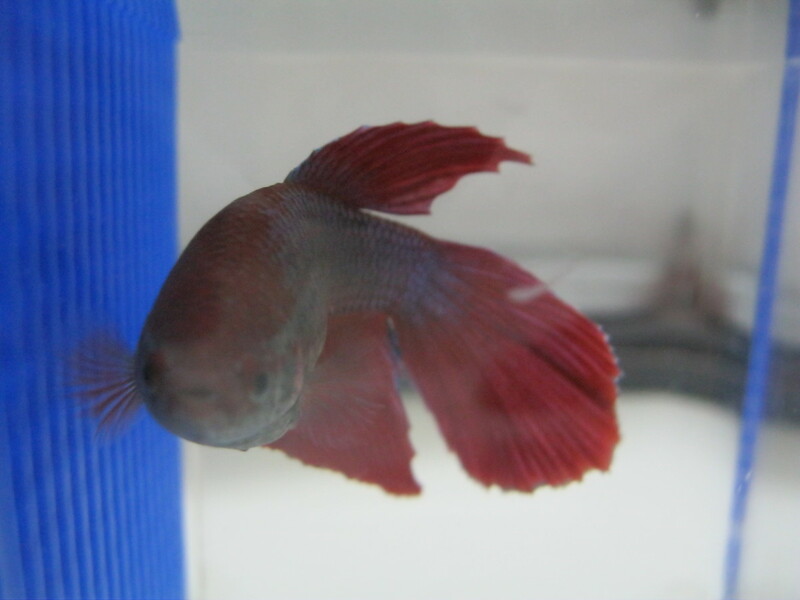 The water in a larger tank will be more stable and easier to maintain. 10-20% water changes every week or two can be your entire maintenance and this is easily accomplished by using aquarium water on your house plants (see next point). Do partial water changes regularly. Once every week or two, use a gravel vacuum or some type of siphon to clean the gravel and drain about 10-20% of the water in the tank. You don't have to be too thorough with the gravel as long as it's done regularly. If you can stay on top of this small bit of maintenance, your tank will stay nice indefinitely with no need for major clean-up projects at all. If you have house plants, use the fish water on them (turn your home into an ecosystem!). The plants will love it, and since you'll eventually need to add more water to the tank, you will naturally be doing small, frequent water changes which are better for the fish and easier for you than occasional major clean-outs. What about Plants and Snails? Live plants can help keep your aquarium clean, but if your goal is minimal maintenance, avoid them. Having a planted tank is great for the health of your fish, because the plants will use up waste products, helping to naturally filter and balance out the water. They also use carbon dioxide and provide oxygen for your fish. It is tempting to think that plants are the key to setting up a perfectly self sufficient, no-maintenance, mini-ecosystem. However, plants require maintenance and care of their own, and creating a mini-ecosystem is a delicate balancing act that requires good knowledge of all the different components and variables involved. Many aquatic plants will grow enthusiastically in the right conditions and can grow out of control if not managed. Dead plant material can build up and alter the water chemistry and microbiome in the tank. Plants also require sufficient lighting and nutrients to flourish. These are the same conditions that promote algae growth and if you're not careful you may soon be looking regretfully at a wall of green algae. If you want to try keeping plants that are hardy and don't require any extra effort, try starting with a Java Fern or ask your local fish store what kind of plants they have that are suitable for a low maintenance tank. Snails are another option for algae control, but they aren't ideal. Many types of snails are asexual and can take over your tank before you know it. 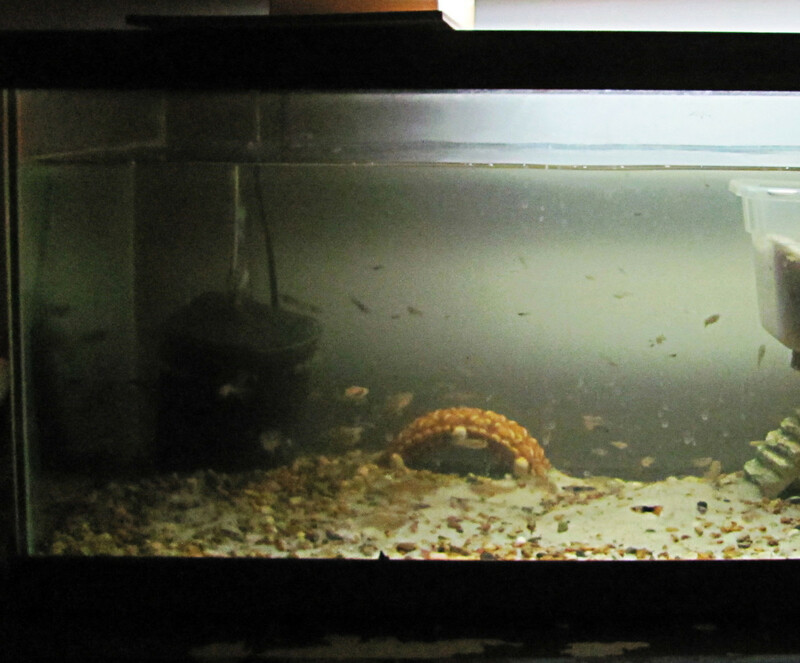 You may buy one snail but soon end up with hundreds or even thousands taking over your tank. Some types however, such as apple or mystery snails, require a partner to breed, so you can keep one of these without worrying about an invasion. Warning: some types of fish such as clown loaches and cichlids will eat snails so make sure you know your fish before adding snails to your tank. I think this is great advice I wish I would have read this before buying several tanks and going through the heartache of losing fish an as a beginner this Dvice would have helped me !! So to the person saying keep your personal opinion to your self , negativity is not welcome anywhere !!!!!! I set my tank up with a small aquaponics filter grow bed that I grow herbs in and I don't ever clean it. I've not cleaned a tank in a year :-) just add water on occasion! I disagree about goldfish. Boring? Quite the opposite. I keep a tank in the lobby of the preschool where I work and the kids and parents love it. The goldfish are a very "friendly" fish. They always come up to the side of the tank when people watch them. The children love them because they are slow, colorful and easy to see. Their mutated swimming abilities are humerous as well. I'll admit that they are dirtier though. I keep 2 in a 20 gallon and will eventually upgrade to a bigger tank. I have a large filter and do a 20% water change weekly. Not too much of a hassle. Goldfish are crazy hard to filter their water and they are messy too! I never knew the fact about having twice the water volume for your filter as what your tank is. I always thought it was just buy what size you have and it will keep up. Lesson learned. Wanna check out my betta tank? Here is a video of me feeding them. Good advice, although it's really not necessary to feed your fish every day. Every other day or 3 is just fine, albeit slower growth rates. Regarding size of aquarium: yes, bigger the better and much easier to maintain. I usually clean my 50 gallon once every 3 weeks and my 10 gallon once per week. Slower growth rates of the fish, but no problems, nor algae issues. In fact, I've gone on one week vacations (8 days) before and left the fish completely unattended. When I got back, every fish was still alive and well. The only change I noticed was a decreased water level due to evaporation, yet not even close to putting the filters in danger. I can't recommend a Bristlenose Pleco. enough. These little fellas are algae workhorses throughout their entire life, unlike the common Pleco. A little piece of zucchini or spinach once a week is plenty for him/her to survive quite well, in addition to a piece of driftwood to chew on. Plants generally require a fair degree of knowledge and maintenance with a few exceptions such as Java Fern, Anubias species and perhaps some floating water sprite. I've had 1 Anubias Nana plant in my 10 gallon, that has grown very slowly over the course of 10 years. I don't fertilize or inject CO2, so that's one plant I could recommend and is an easy way to 'prettify' your tank, and not worry about plant maintenance. Species: Forget Neon tetras. Cardinal tetras are far more resilient. Rummy-nose tetras are great too and are an excellent indicator of water quality. When the water is clean and to their liking, their 'noses' will go red. When the water quality diminishes, the reddish 'nose' will fade. Livebearers such as swordtails or mollies are an option too and quite hardy. Although they can get a decent size, upwards of 3+ to 4 inches. 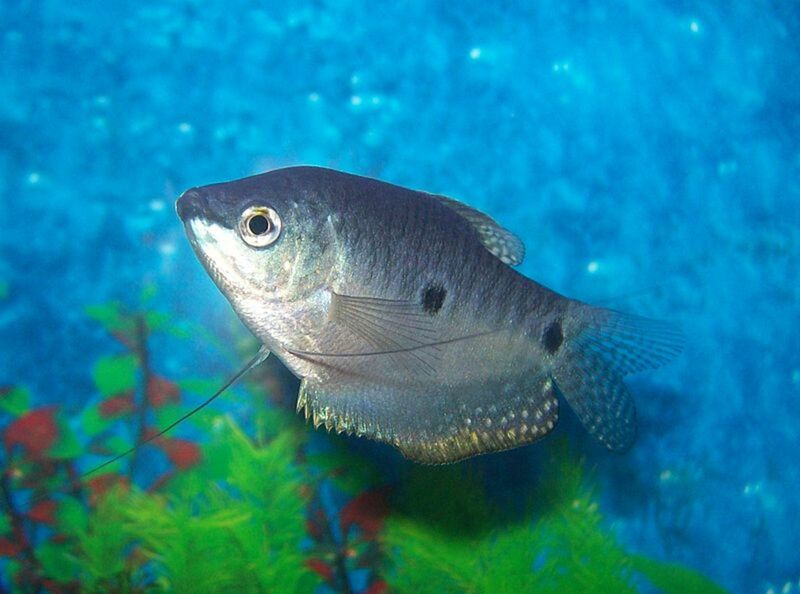 I've never had much luck with Gouramis, but Cichlids, either African or South/Central American can be hardy and live a very long life. 8+ yrs. is not unusual in an aquarium environment. Right now, I've got 8 dwarf neon rainbowfish, 3 swordtails, 2 Firemouth cichlids and 1 bristlenose pleco in the 50 gallon. It's a relatively peaceful viewing experience. Something I prefer versus the neurotic African cichlids. I couldn't agree with you more on your goldfish comment. 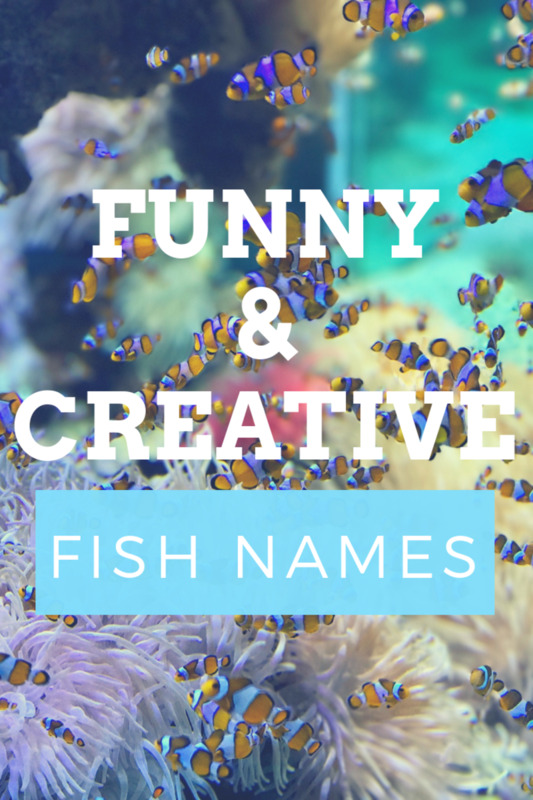 They are not as colorful or attractive as many smaller aquarium fish. We had a marine tank for 3 years. It was recently sold on Ebay as unfortunately we had no time to look after it. I really miss the bright clownfish, birdnose and angels but if you don't have time to look after them its unfair to the fish. I hope the new owner of our tank reads your hub, its great advice. Many would get angry with you especially with those fish afficionados who love goldfish and there is a lot of 'em but not me hehehe. 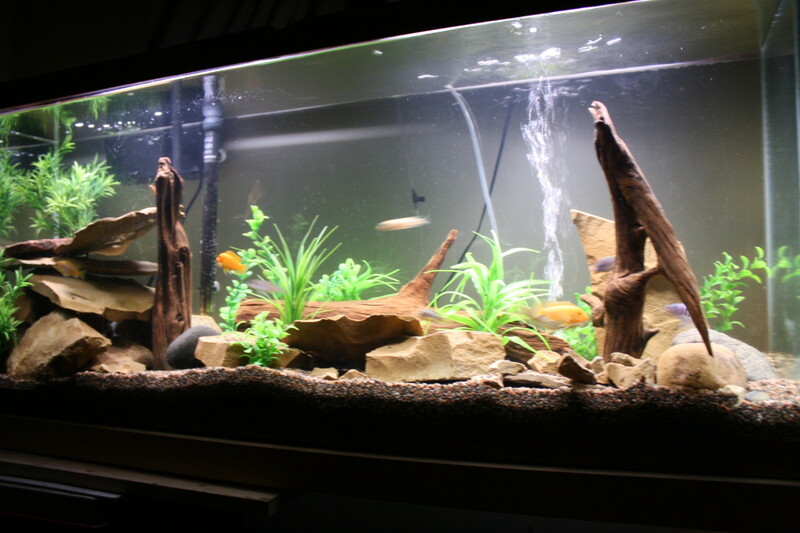 I love tetras, gouramis, oscars and cichlids, but not goldfish... Thanks for sharing this great hub of yours, as a fish tank enthusiast your hub indeed gives great insight about fish keeping... Goodluck! The excitement of the Hubnuggets can't be contained. So I'm letting out a big whooping cheer for you right here, right now. Congratulations --- Whooooppeeee! Get into the Hubnugget fever and vote and promote okay? Thank you, Jeffrey! I keep the same cichlids and yes they are a lot of maintenance.. definitely not a beginner fish but I love them.. I don't have too many, though and they get along okay. Good Hub! Maintenance was the main factor causing me to give most of my fish away...it became too much. I kept Malawian African cichlids, and they have to be packed in to curb their aggression. I was cleaning the tank and filter weekly! Beautiful fish, though. 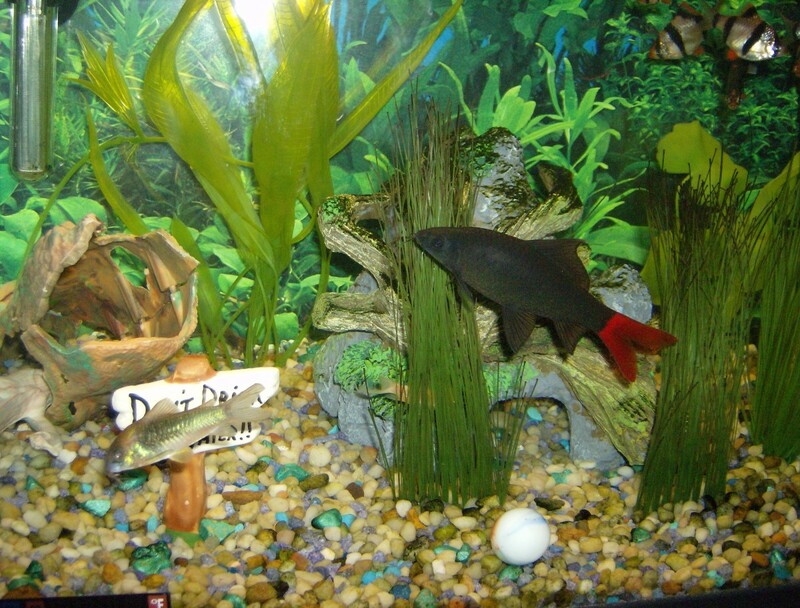 Now I just have a plecotomus and an African catfish, so they are much lower metabolism and easier to manage. Good luck with the Hubnugget Wannabees!